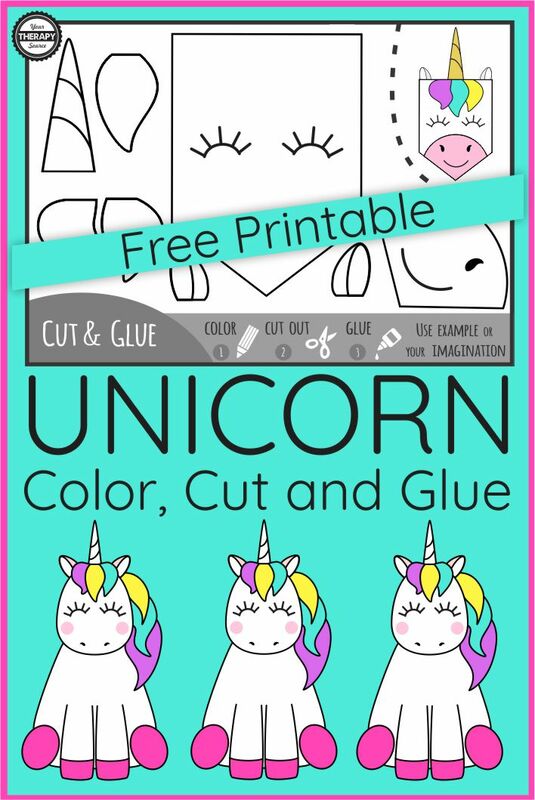 Are you looking for a cute, unicorn fine motor activity that is free? Well, look no further! 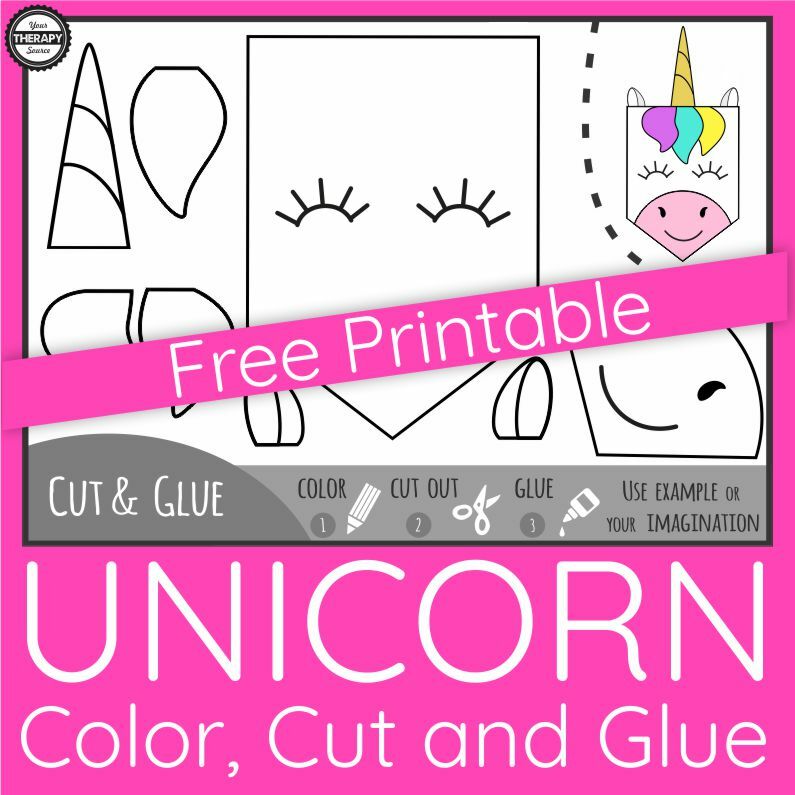 This freebie includes the Color, Cut and Glue Unicorn Fine Motor Activity. You can download it at the bottom of the post. For preparation, all you have to do is print the page. Provide the students with crayons, scissors and glue. Step 1: Color the unicorn. Step 2: Cut out the unicorn pieces. Step 3: Glue the unicorn together using the picture as a model. 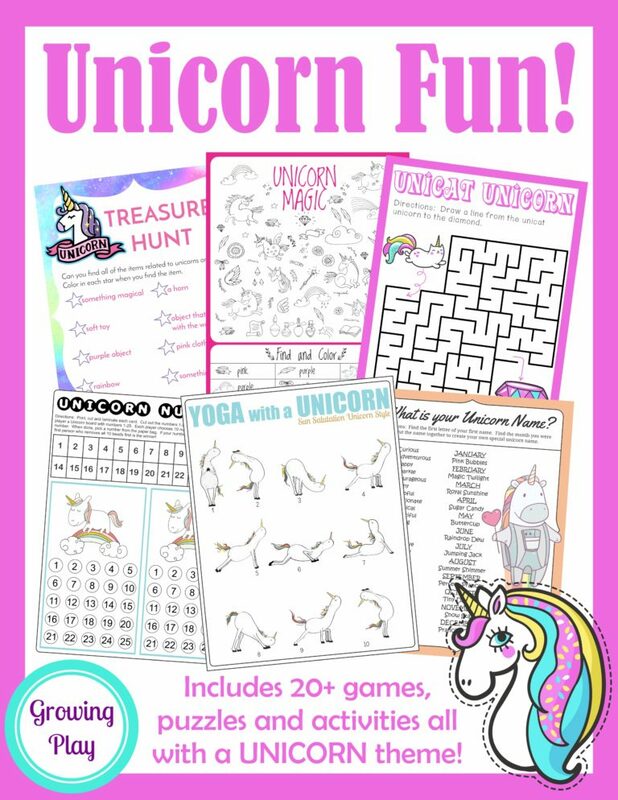 Looking for more unicorn fine motor activities? This freebie is from the Unicorn Writing Pack. This bundle deal will add some magic to your handwriting and fine motor skill practice sessions. It includes 2 creative packs for Unicorn lovers. 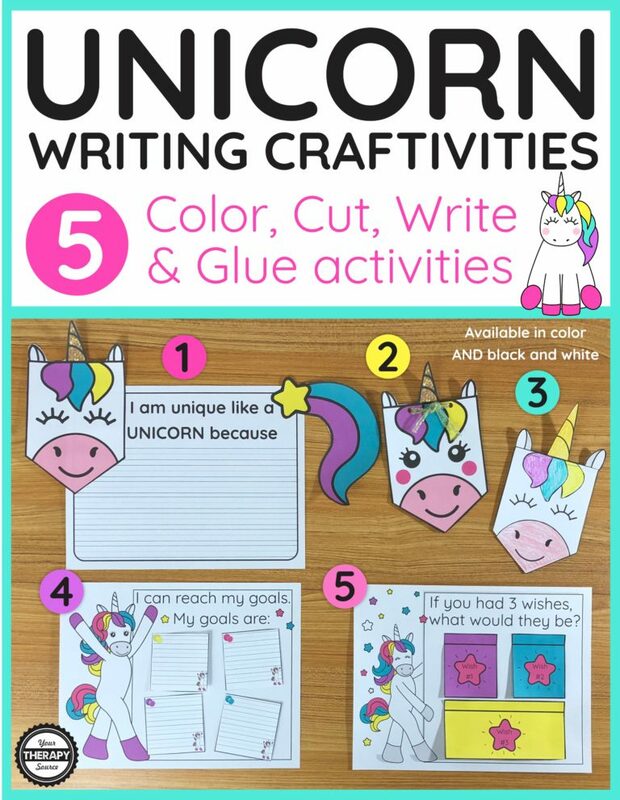 The Unicorn Writing Activities and Unicorn Writing Paper consist of one 20 page PDF packet with 5 craftivities and one 6 page unicorn writing paper pack. Sign up to receive the weekly email and announcements from Your Therapy Source. If you already subscribe, enter your email and you will be redirected to the download link. Don’t forget to check out the complete Unicorn Sensory Motor Pack for more super fun sensory motor activities with a unicorn theme.